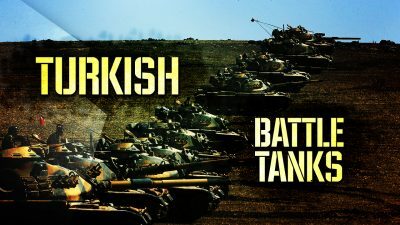 On September 13, the Turkish Armed Forces (TAF) deployed several battle tanks and armoured vehicles at their observation post near the town of Murak in northern Hama, according to reports by pro-militant sources. It was first time when the TAF deployed its heavy military equipment in this area. Pro-government activists link this deployment with attempts of the Turkish leadership to prevent an expected military operation of the Syrian Arab Army (SAA) and its allies against Hayat Tahrir al-Sham (formerly Jabhat al-Nusra, the Syrian branch of al-Qaeda) in the province of Idlib and nearby areas. The TAF has 12 observation posts in the so-called Idlib de-escalation zone. Many of them are located in the areas directly controlled by internationally recognized terrorist groups or close to these areas. On the same day, the SAA artillery carried out strikes on positions of Jaish al-Izza, a close ally of Hayat Tahrir al-Sham, near Masasneh in northern Hama. Separately, artillery strikes hit a HQ of Hayat Tahrir al-Sham near al-Tamanah in southern Idlib killing several militants inside it. Government troops also continued their operation against ISIS cells in the Homs-Deir Ezzor desert. According to pro-government sources, the SAA further advances along the road towards the T3 pumping station seizing seized loads of weapons, medical supplies, satellite communication devices and a vehicle left behind by ISIS members. On September 12, in an interview with Fox News, US Ambassador to the UN Nikki Haley claimed that the US and its allies are going to pushing the Assad government not only for possible chemical attacks in Idlib, but for any attack, which hits civilians. She also recalled allegations that the Assad government had already ordered to use chemical weapons in the area. It should be noted that according to the Syrian-Iranian-Russian alliance, chemical attack provocations are being prepared by Idlib militants seeking to trigger a US-led military action against the Damascus government.